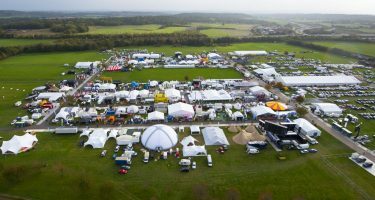 With a proven history in design and manufacture, Straight Eight Engineering Ltd have the knowledge and expertise to provide you with a reliable, efficient and cost effective system to clean your marquees. 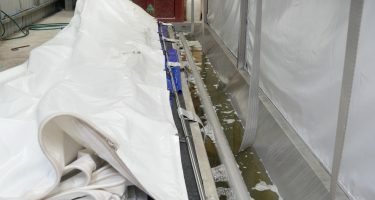 Our Straight Eight Enginering marquee washing machines are renowned to be easy to operate, and straight forward to service and maintain – plus with our experienced technicians and after sales team, we have the support to ensure that your machines run with minimum downtime. 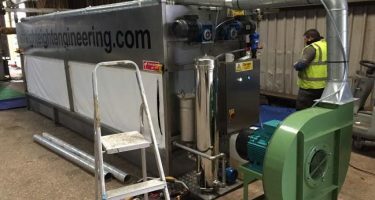 Utilising newer technologies, we have improved the design and performance of our machines with concentrated dip tanks, water recycling and the best air blade driers available, we promise not just superior cleaning results but also aim to be more sustainable. 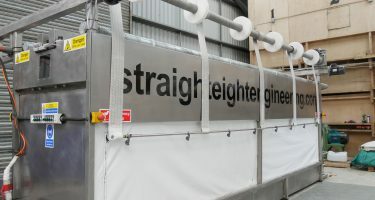 Straight Eight Engineering’s marquee washing machine and drier combination offers versatile, superior cleaning performance aiming to prolong the longevity of your marquees. With finance options available, and short lead times, it is easy to buy one of our new models. Alternatively ask us about refurbishing your present machine. 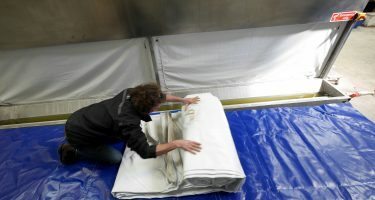 If you are after the cleaning performance of one of Straight Eight Engineering’s marquee washing machines, however are currently unable to justify the outlay of owning your own machine as your company grows, you may wish to explore options to rent on a short or long term basis through us. Straight Eight Engineering’s marquee washing machines are designed to run smoothly with minimal maintenance. In order to help eliminate periods of machine down time we recommend the machines are serviced annually, and offer a range of packages to suit your needs. 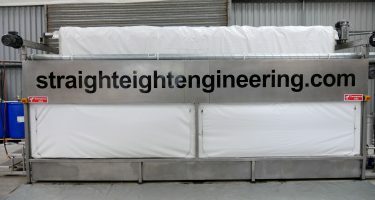 At Straight Eight Engineering we are proud to provide the tools and expertise to enable your business to go from strength to strength, if we can help you with other aspects associated with the preservation of your assets, consider it done.